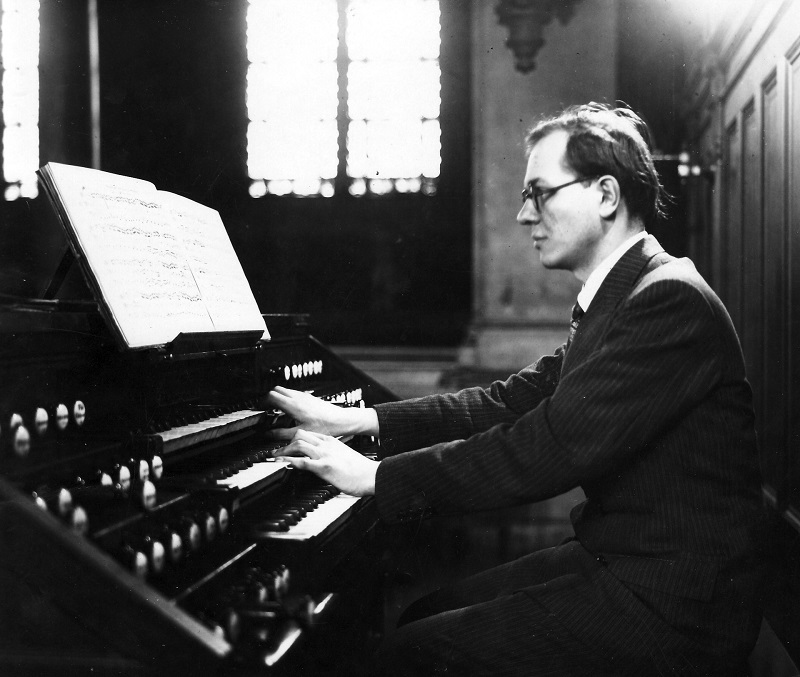 Olivier Messiaen was a French composer, organist, and ornithologist, one of the major composers of the 20th century. He was fascinated by bird songs and collected them worldwide transcribing them into his music. His innovative use of color, his conception of the relationship between time and music are among the features that make Messaien’s music distinctive. He entered the Paris Conservatoire at the age of 11. He was appointed organist at the Église de la Sainte-Trinité in Paris in 1931 and taught at the Schola Cantorum de Paris during the 1930s. Etiennes Pasquier, 35 years old, violinist and part of the well known trio Pasqier. They were taken to Görlitz in Silesia where they were imprisoned at prison camp Stalag VIII-A. When they were initially searched, the guards were astonished to find not weapons or supplies, but musical scores in Messanier’s pockets and a violin in Akoka’s bag. In the camp they met another professional violinist, Jean Le Boulaire. Their quartet was completed. The group started to play together every evening, after the forced work on the camp. Successively, they obtained some special ‘privileges’, including Messaien’s permission to play the camp organ, as well as access to writing materials, which enabled him to compose. Although conditions were not as harsh as in other Nazi camps, however, it was an emotionally and physically taxing experience. One day, Akoka invited Messaien to escape with him, everything was organized, from food to a compass. But Messaien refused by saying “God wants me here”. At the end, also Akoka remained. During his nearly 2- year’s imprisonment, Messaien composed his Quatuor pour la fin du temps (“Quartet for the end of time”) for the four available instruments—piano, violin, cello and clarinet. He wrote that piece inspired by the apocalypse of S. John, dividing it into three parts as a reflection about time: the time of faith, the time of philosophical thought and the time of music. The four musicians were helped by some German guards, who found a way to provide paper, pen and rubber for Messaien, who was given a room to work. Officially, he was put into “isolation” to enable him to compose his music. They are even allowed to buy some old instruments in Goerlitz. Each evening, after 6.p.m. the group started to play for 4 hours in the bathrooms of the barracks, careless of the harsh winter. The piece they were trying was very complicated even for the experienced violinists Akkoa and Pasquier. But Messanier taught them how to play it. Finally, on January 15th , 1941, around 6 p.m., a crowd of 400 prisoners and Nazi guards gathered in the freezing barrack 27 converted, for this occasion into the “theatre” of the camp to listen to the concert. 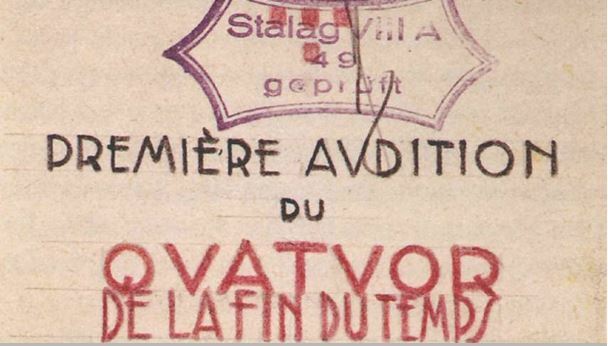 The invitations were hand-written by the prisoners. The Stalag was buried in snow. We were 30,000 prisoners. The four musicians played on broken instruments … the keys on my upright piano remained lowered when depressed … it’s on this piano, with my three fellow musicians, dressed in the oddest way … completely tattered, and wooden clogs large enough for the blood to circulate despite the snow underfoot … that I played my quartet … the most diverse classes of society were mingled: farmers, factory workers, intellectuals, professional servicemen, doctors and priests. Only 15 days later, 15.000 people from Statlag II, among them some of those present during this concert, are deported to Lublina, a concentration camp. The four musicians were not among them and all survived. Messaien was appointed professor of harmony soon after his release in 1941, and professor of composition in 1966 at the Paris Conservatoire, positions he held until his retirement in 1978. I have composed this music in order to escape from the snow, the war, the prison and from myself. Among the 300.000 prisoners, I was probably the only one who was not a prisoner. This sentence, together with the information about his refusal to escape the Nazi camp because “God wanted him there” and his strong Catholic faith was the reason, I decided to analyze his chart, and especially his 3rd house. Modern astrology associates the 3rd house with siblings, communication, (short) journeys, neighborhood. We would think of books, electronic devices and writing related to this house. But in Hellenistic astrology, this house is called the “place of the Goddess”, in opposition to the 9th house, which is the “house of the God”. It is noteworthy, that both houses do not represent the Gods themselves, but only their temples or places where they were worshiped, since the Devine has no “place” but everything is created out of it. There is much confusion today, what that association with the “Goddess” actually means and how this can be related to our modern associations. Before looking at this, we have to understand, that the ancient astrologers lived in another time period with a very different social life. Egyptian Daily life, where Hellensti Astrology had develloped, was organized by a Moon calendar, which was linked to the religious ritual calendar. While the Moon was closely observed for agriculture, also great part of the rest of the daily life with the daily rituals, observances and prayers was organized according to the Moon. This created a daily routine, a very personal rhythm embedded in an official religious belief system. While the 9th house represents the institution of the religion, for example the Catholic church and the Bible, the third house is below the horizon and thus pertains more to the private sphere of a person, something which is not necessarily shown to others. The Goddess shows the private aspect of a religion, the way, we put into practice that what we believe in. It’s our daily practice which helps us to feel united with our personal God. It’s the prayer before dinner, the meditation routine we implement in our life or the request for spiritual assistance before taking a decision. It’s the Indian woman, who puts aside a tablespoon of food after cooking, for the Gods, saying her prayers. Today we often do not use the word “ritual” anymore, but have substituted it by the term “routine”, as we lost the sacredness of the things we do in daily life. Valens says, that those planets which are at a 1/3 distance between the degree odf the AC ad the degree of the IC, are strengthened. So, for example, if the degree of the AC is 12° Virgo and the degree of the IC is 8° Sagittarius, their distance is 98°, divided by 3 is 32°. This means that from 12 ° Virgo up to 14° Libra all planets are strong, all the following are weak. He adds later, that another method is to divide the AC-IC distance by 3 and consider the 1/3 strong, the next less strong and the last weak. The latter system makes the most sense to me, as is anchores the strength of the angle with the planets in the 3rd house. The chart of Messiaen is so interesting, because the music for which he has become most known for, has been composed in a working camp in Nazi Germany, where people died like flies. Messaien has his Venus, the planet associated with beauty and the arts, in his 3rd house. She rules his 2nd house, thus representing his talent or resource, and his 9th house. This is a very interesting point, as the ruler of the 9th (God) is in its opposition. This alone describes a religious struggle or research. So the music is Messiaen’s ritual to worship his God. Venus is in her detriment (which is actually more important in medieval astrology than in Hellenistic), but clearly Venus in Scorpio does not describe a music written in a moment of pleasure, but rather in a time of pain and conflict. It is an inner process, composed upon his experiences and personal elaborations. Drama, struggle and passions fascinated Messaien. That pressure and fear were the engine and key to Messiaens’ music. He must have been living a personal apocalypse in that camp, while we wrote his piece inspired on S. Johns’s apocalypse. They tried that piece every night for 4 hours, which is described by the powerful Mars in the 3rd house, who pushes forward, unafraid of the menace of of a possible imminent death (8th house ruler). Saturn rules the 5th house (the output of Messaien’s creativity), which is thus described as heavy, difficult (Saturn) but innovative (Aries). Nevertheless, its dispositor is Mars in the third, so his creativity is strongly linked to the Goddess. Mars is also the exaltation ruler of his 5th house. Toe some extend, Saturn in the 8th house and Venus in Scorpio describe a similar pattern, might of struggle, passion and overcoming drama. Rhetorius tells us that if Venus is in the 3rd house in sect, it makes good prophets [those who explain] prodigies, God fearing persons, divines. Some of them are in orders or they have gifts. He does not specify what he actually means by “gifts”, but I think in Messiaen’s case, his gift was his ability to translate his inner life into notes. Venus is conjunct her dispositor Mars, also ruler of the 8th house, associated with death, deep changes and struggle. This makes his music sharp and contrasting. There is always something in his music which seems to express repulsion, a conflict or a struggle. But yet, the music is not aggressive it rather seems to bring contrasts together. It is definitely not an easy kind of music, but that type which requires an experienced ear to recognize its beauty fully. Both planets are at the “Goddess”service. It’s his unconditional faith, which permitted Messaien to compose his music while he was assisting to all kinds of maltreatments. While he was inwardly dying (Mars ruler 8th house), he composed the piece which made history. My secret desire for a fairy-like magnificence in harmony has pulled me to the swords of fire, those precipitous stars, those rivers of blue-orange lava. Those turquoise planets, those violet colors, that garnet red of sprawling ramifications, those turbines of tones and colors in a clutter of rainbows. Messiaen drew on numerology, Indian rhythms, Gregorian music and especially from birdsongs, which he collected from all over the world during his frequent travels (he was able to distinguish between 700 different bird-songs!). While neither Firmicus, Paul of Alexandria or Rhetorius do associate this house directly with travel, all of them associate the Moon in the 3rd house with journeys. The link to the third house with travel in a general sense, seems to be connected with the Moon’s rejoicing in this place. As the Moon is the quickest planet, she is a natural traveler. Messiaen’s Moon trines the Mars/Venus in the third house, which is probably the reason, why he travelled a lot all around the world. As we have seen before, Valens says, that if the chart is generally positive (as it is in this case with Jupiter rising and in sextile within 3° of orb with the planets in the 3rd house), the native will have gifts from the king. Messiaen was made prisoner, but yet, to some extend he was indeed gifted by the German commander Carl Albert Bruell who brought him paper, rubber and pencils and provided him to some extend protection. Messaien was 33 years old, when the Quartour de la fin du temps was premiered. 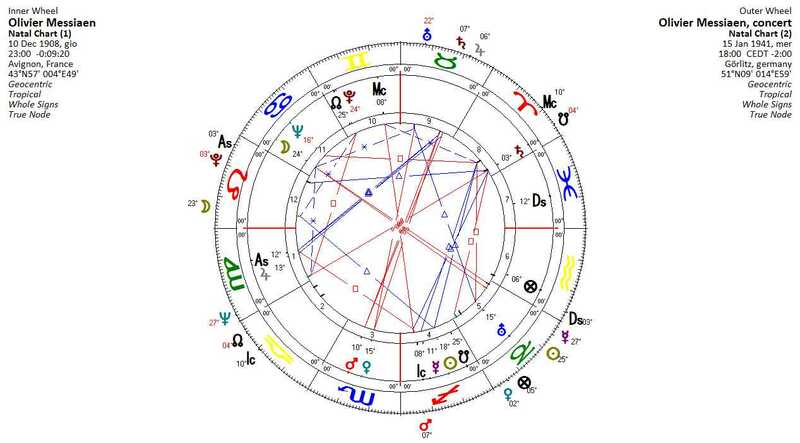 As we see, the transit Moon is in Messein’s 12th house of imprisonment, while Saturn (ruler of his natal 5th house) and Jupiter (ruler off natal 4th and 7th) oppose his 3rd house. 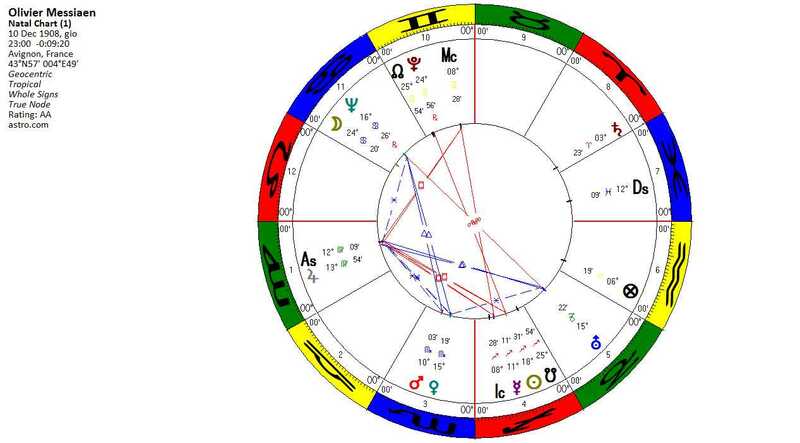 The Sun, Mercury and Venus transit his 5th house of creativity. At the moment of the concert, Messein was 33 years old and thus in a 10th house profection year. His career was going to be touched. His 10th house (Gemini) is ruled by Mercury, which is conjunct his natal Sun (ruler of the 12th of imprisonment) and also rules the AC, activating Jupiter and its aspects, Mars and Venus. Gemini is a movable sign, and has one of its a peak periods in Sagittarius (cardinal fourth), which represents the 2nd level. His roots are activated, but also the very expression of himself (Sun) which is linked to imprisonment. On the 3rd level, he is in an Aries subperiod, he faces death and experiences stress and pressure in the working camp. 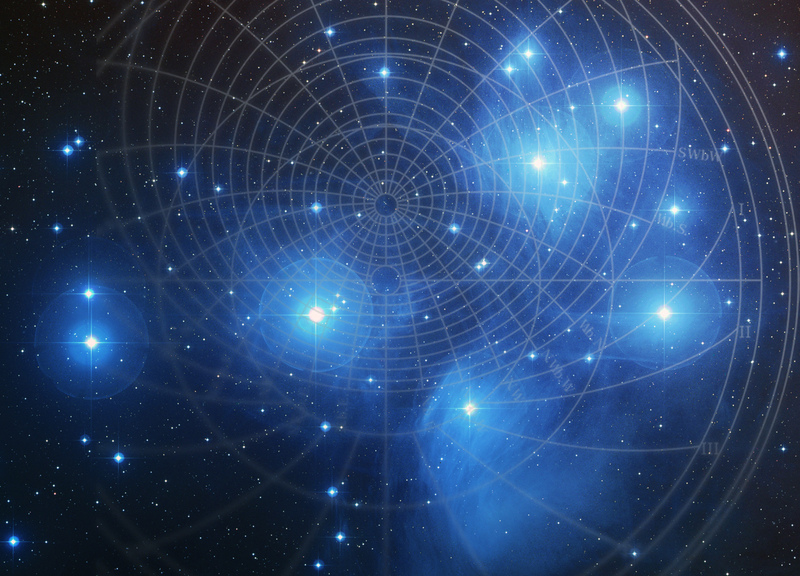 Its ruler Mars (in conjunction with Venus) in the third is activated. On the 4th level, he is in a Capricorn level: His creativity is to show up. Mars, the exaltation ruler of this sign, is activated. Holden, James H. 2009. Rhetorius the Egyptian- Astrological Compendium Containing His Explanation and Narration of the Whole Art of Astrologyn. Edited by American Federation of Astrologers. 4th ed. This system is pretty similar to what we use still today in which the 1st house is considered as being strong, the succedant weaker and the preceeding to the 4th (3rd house) cadent. In Rhetorius’ outlining (or else in Holden’s translation), must have occured an error: he refers the positive things attributed to Venus to her being out of sect, which makes no sense. I do think the correct statement must read the contrary, like [Venus out of sect makes those involved with demons (…) and Venus in sect makes good prophets (…)]as shown in Firmicus, Mathesis VI, 16. I associate the pantheistic attribute with the water element.